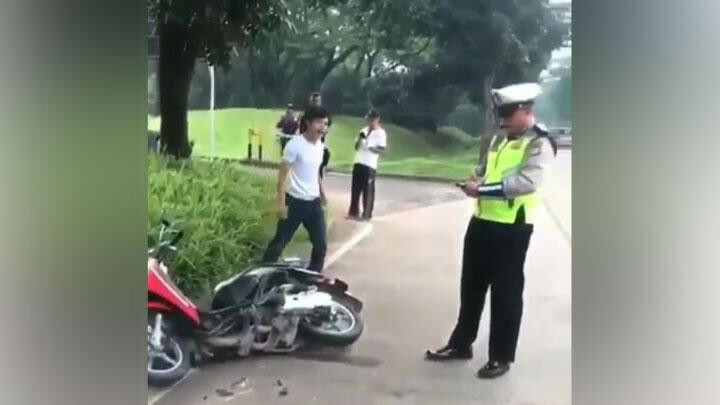 A man in Serpong, South Tangerang who became infamous when he threw a violent public tantrum after a police officer ticketed him for several traffic violations has been arrested, but not for destroying the motorcycle he was driving. The man, Adi Saputra, 21, was charged under Article 480 of the Criminal Code for receiving stolen goods, which carries maximum punishment of four years in prison. South Tangerang Police chief Adj. Sr. Comr. Ferdy Irawan said on Friday that Adi was charged for receiving stolen goods because the motorbike he had been driving was not his own. “Right now the evidence [the motorbike] is being kept at the South Tangerang Traffic Police office,” Ferdy said. Adi had been ticketed on Thursday morning by a police officer who observed him driving against the flow of the traffic on Jl. Letnan Soetopo in Serpong without a helmet. 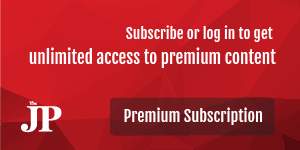 Adi was allegedly unable to produce any documents, such as a driver’s license, a vehicle registration certificate, or an ID card. After he was stopped, Adi yelled at the officer and proceeded to destroy the motorbike while a woman who had been riding with him pleaded for him to stop. Adi ripped off parts of the motorcycle and hit it with a big stone. His action was captured on camera and the video went viral after being posted on Instagram by @pauull_21 and @jktinfo. The motorbike was confiscated by the police officer who ordered Adi to walk home and retrieve the documents. However, Adi did not appear again. Afterwards, a video was posted online that allegedly showed him setting fire to the vehicle registration certificate with a lighter. Meanwhile, the woman who was filmed pleading with Adi has been offered free transportation.